a fibrous band formed by the thickened inferior border of the aponeurosis of the external oblique that extends from the anterior superior spine of the ilium to the pubic tubercle, bridging muscular and vascular lacunae; forms the floor of the inguinal canal; gives origin to the lowermost fibers of internal oblique and transversus abdominis muscles. a band of fibrous tissue that spans the gap between the anterior superior iliac spine and the pubic tubercle. 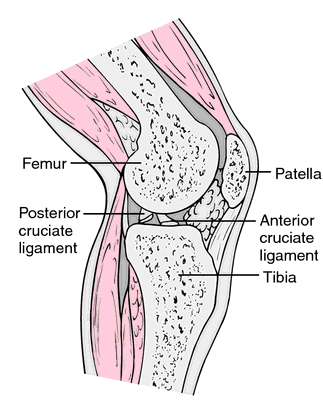 Also called crural ligament. A fibrous band formed by the thickened inferior border of the aponeurosis of the external oblique muscle that extends from the anterior superior spine of the ilium to the pubic tubercle, bridging muscular and vascular lacunae; forms the floor of the inguinal canal; gives origin to the lowermost fibers of internal oblique and transversus abdominis muscles. Synonym(s): ligamentum inguinale [TA] . A slightly downward-sloping and downward-curving ligament that runs from a bony spine on the upper and outer front edge of the pelvis (anterior superior iliac spine) to the PUBIS. The ligament forms part of the tendinous attachment (aponeurosis) of one of the main abdominal muscles, the external oblique muscle. Also known as Poupart's ligament. (Francois Poupart, 1661–1709, French surgeon and naturalist). Poupart line - a vertical line that marks off the hypochondriac, lumbar, and iliac from the epigastric, umbilical, and hypogastric regions, respectively. Approximately 3/5 of the patch is above the level of the inguinal ligament and the remaining 2/5 below the level of the ligament so that the posterior edge of the mesh lies smoothly on the iliac vessels. We determined the cross-sectional dimensions of the compound femoral nerve just distal to the inguinal ligament in six subjects. Uyari hem inguinal ligament altindan, hem ustunden verilir. However, it is the newly created lower edge of the upper flap that is being used, instead of its original upper edge; the original lower edge of the upper flap has previously been sutured to the inguinal ligament. 2,5] The femoral nerve descends on the psoas major muscle and enters the thigh deep to the inguinal ligament at the lateral edge of the femoral sheath, which separates it from the femoral artery. The floor of the inguinal canal is formed by the inguinal ligament (inferior edge of the external oblique aponeurosis, which attaches at the anterior superior iliac spine and the pubic tubercle) and its extension, the lacunar ligament. 5 cm caudad to the inguinal ligament as described originally by Dalens (2) is generally accepted as a simple and safe block for hip surgery. Then it runs caudally between the iliacus and psoas muscles, reaching the deep side of the inguinal ligament lateral to the femoral artery. With a rise in intra-abdominal pressure the conjoined tendon contracts, descends and comes to lie close to the inguinal ligament. Under the fascia-sparing procedure, the surgeon makes a horizontal incision below the inguinal ligament, develops skin flaps around it, dissects out the superficial nodes, and goes on top of and medial to the femoral vein to remove blocks of nodes. Similarly, for Modified Bassini's repair, polypropylene 2-0 was used for suturing double breasted layers of Transversalis fascia and suturing conjoined tendon to inguinal ligament in two layers and extracanalisation of spermatic cords done. the gubernaculums and their points of insertion: the bottom of the scrotum, the front of the pubis, the perineum, Scarpa's triangle in the thigh, the region of the inguinal ligament just medial to the anterior superior iliac spine.